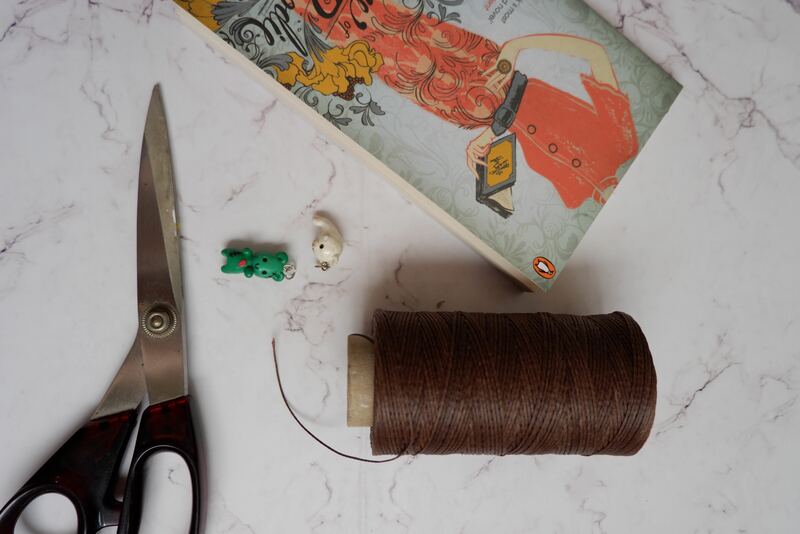 If you’re thinking of spending a leisurely weekend at home reading books, I hope you’ll love this easy DIY dangling bookmark project as much as I do! A few days ago, I was binge-watching some YouTube videos from Traveler’s Notebook community and ended up in Ali Brown‘s channel—where she made a tutorial on making dangling bookmarks for her journals. 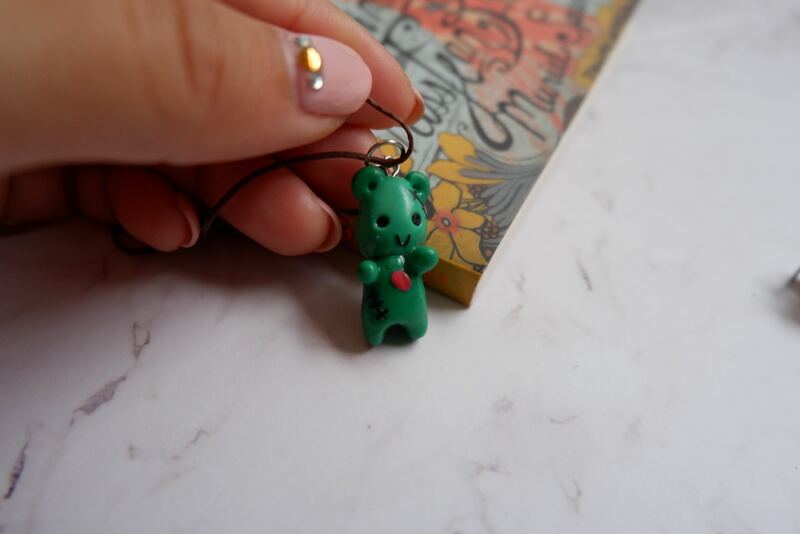 After creating mine (which I loved), I realized that this can actually be a great bookmark not only for my journal, but also for the books I’m reading! I’m the kind of person who reads multiple books at a time, so a bookmark always comes in handy. However, regular bookmarks frustrate me because: 1) they slip and fall easily from the book inside my bag; 2) slipping the bookmarks in and out when I travel caused me to misplace the bookmarks or end up losing them; and 3) sometimes when I finished reading a book, I accidentally left a bookmark between the pages, and couldn’t find this bookmark until one day I reread the book again and voila—my ‘missing’ bookmark was there! I realized that dangling bookmarks solve those problems: 1) they don’t slip and fall easily; 2) I don’t have to slip the bookmark in and out because I can just read the book while the bookmark is dangling right there, looking pretty; and 3) because the bookmark is dangling from the page, I would definitely notice it and take it out before storing the finished book—no more ‘missing’ bookmark hidden between the pages of a long-forgotten book! So, I decided to create several dangling bookmarks for the books I’m reading this month (will add the list down below). They are so easy to make, and I even make some as gifts for my fellow bookworms! So, basically, what you need to do is measure the length of your bookmark. Sure, there are different sizes of books; but usually, I only make two different lengths: for the paperback size and the hardcover size. These are the two sizes of books I mostly read anyway. 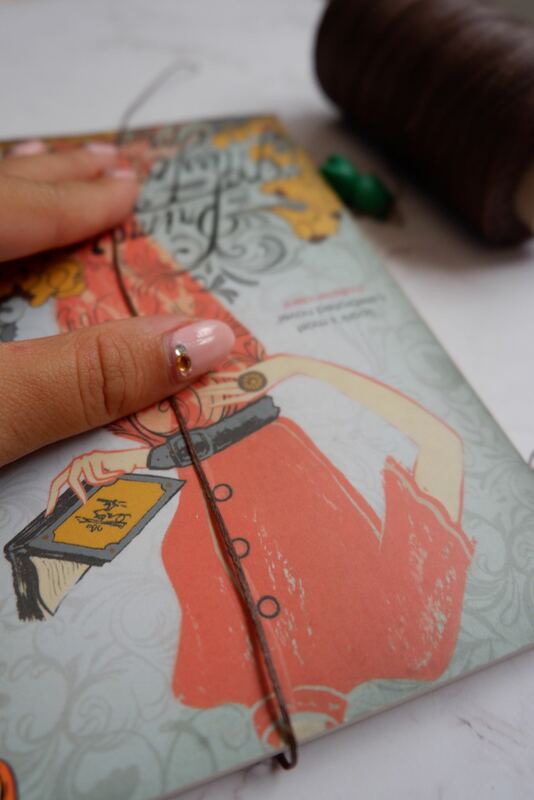 Just measure the length so you can have the desired dangling effect once the bookmark is slipped between the pages. After that, add some charms or beads to the end of each string, and tie a loose knot. Insert the dangling bookmark between your book’s pages and adjust the length when necessary. When you’re happy, tighten the knot. And just like that, you have your dangling bookmark. Now, you can slip the string between the first page of the book and the page you’re currently reading. Bring the string close to the binding of your book, and it will rest there nicely while you’re reading; and it won’t bother you at all. Dangling Bookmark: Use What You Have! 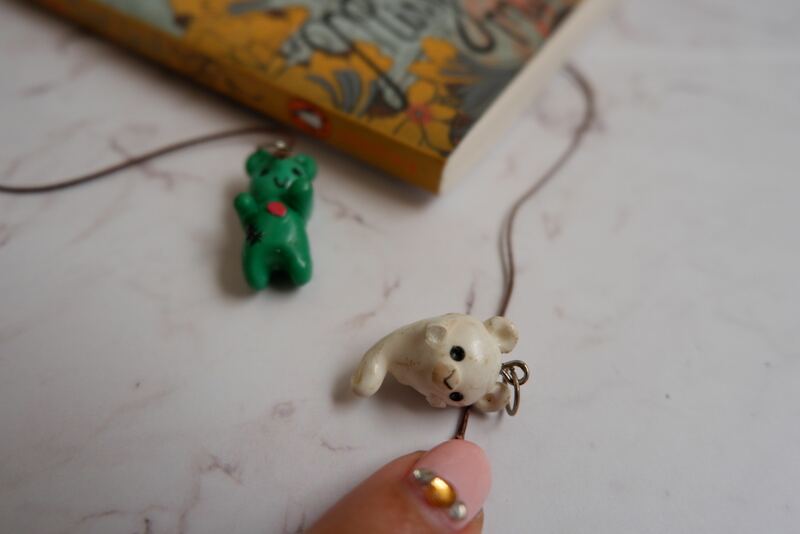 I didn’t buy the charms on my dangling bookmarks. Most of them came from broken accessories that I liked so much, but because they were broken, I couldn’t wear them anymore. I kept them in my drawer thinking that one day I would fix them, but of course, it never happened. So, I’m happy that they can get a second life! 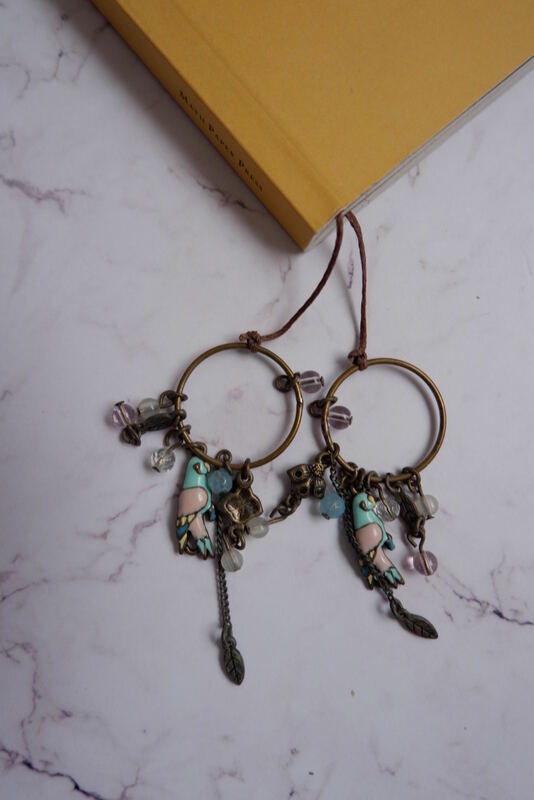 This bird bookmark, for instance, came from a broken earring I got years ago. Some others came from broken bracelets and from my mother’s beads collection. 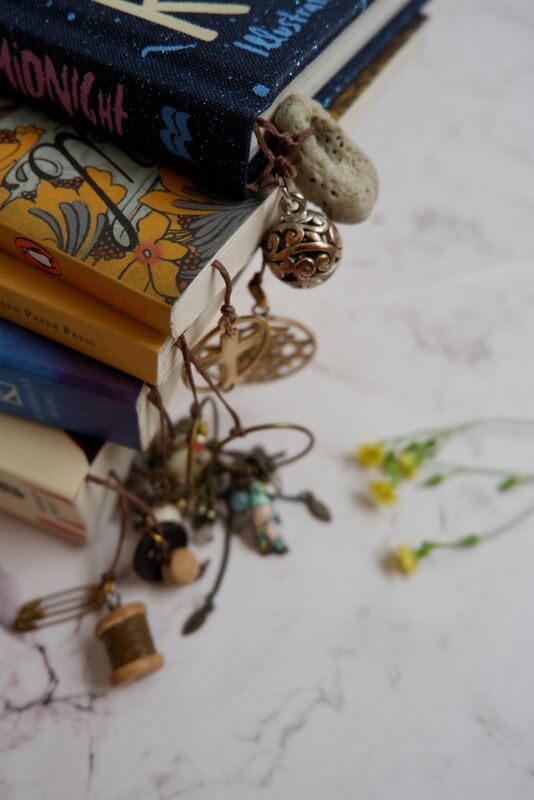 Let me know if you tried to make a dangling bookmark this weekend! 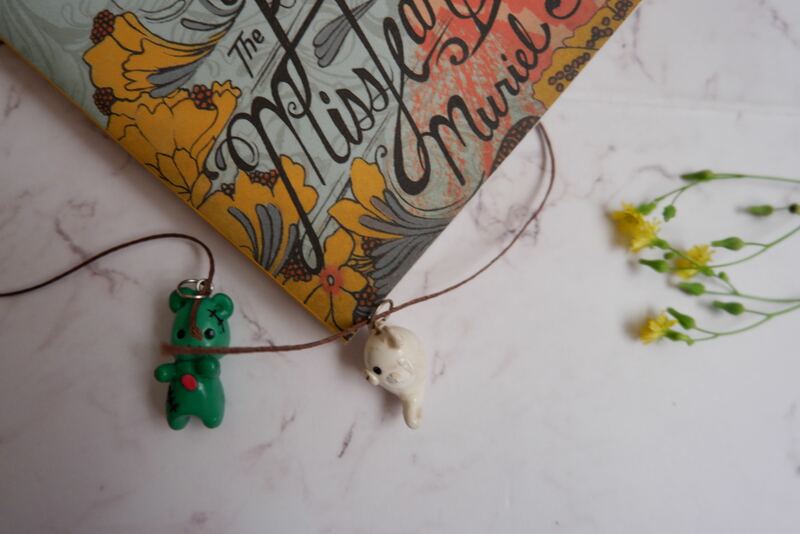 Feel free to share some pictures of your dangling bookmark and tag me if you like! 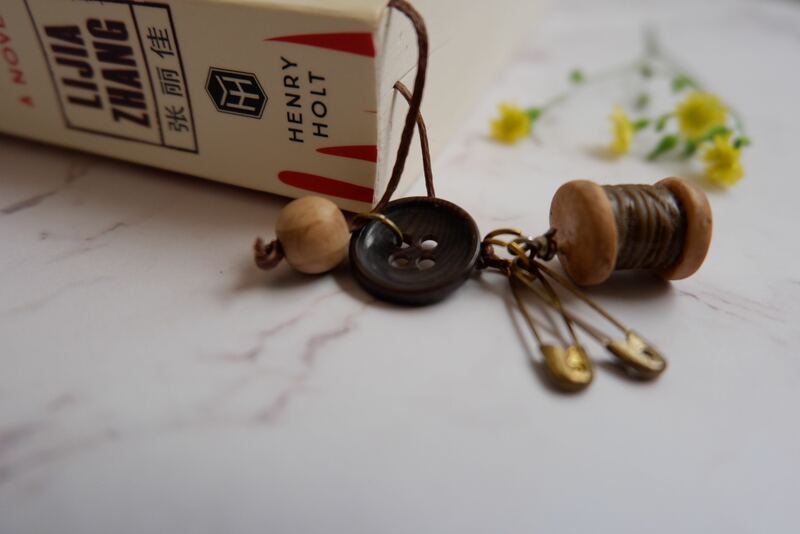 I assure you that you’ll have a pleasant weekend making your own dangling bookmark, and read your book while the bookmark is dangling pretty between the pages! You might have noticed some links to Tokopedia e-commerce site in this post, but this is NOT a sponsored post. Personally, I love using the site to get my craft supplies for a bargain, so maybe you want to check it out.